I think I have always had a love for art, my mother is an artist and as a family we grew up surrounded by pictures. She always had lots of art materials around so it was natural for us as children to copy Mum and draw and paint. I used to wonder why, if we went to a friend’s house and we wanted to draw, we were given a scrap of lined paper and a biro. Consequently, we all ended up in creative professions. My younger brother lives in Paris and is a wood engraver and illustrator, he now works there as a designer, having trained at the Royal College of Art. My sister is a jeweller. She travels back and forth to New York, and teaches courses at West Dean, and my twin brother etches and draws but professionally he designs nuclear submarines and aircraft carriers for the Navy. My father was an engineer with the Navy and we were always involved in family projects restoring old boats, houses and cars. I learnt a lot of skills from him and many of these I have been able to transfer into the printmaking process. 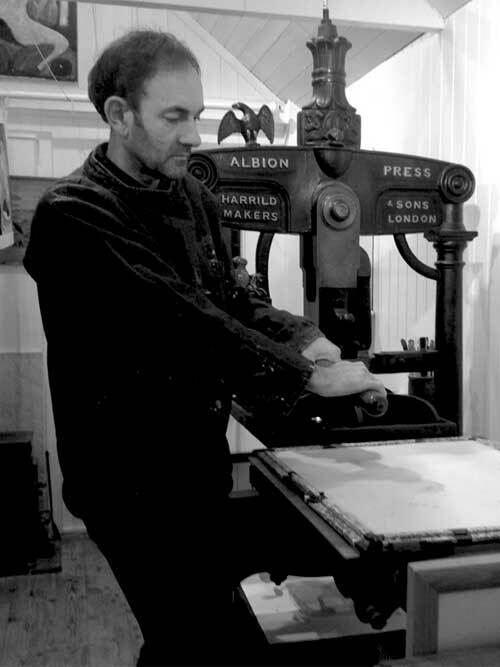 Living and working in Kent, the art of Melvyn Evans encompasses linocut, painting and illustration. The task of skilfully mastering one is to be admired let alone these three different ways of creating and thinking. Evans began his working life as an engineer but turned his hand to being a professional artist in 1992 producing a wealth of beautifully strong imagery with an equally pleasing set of colourings. 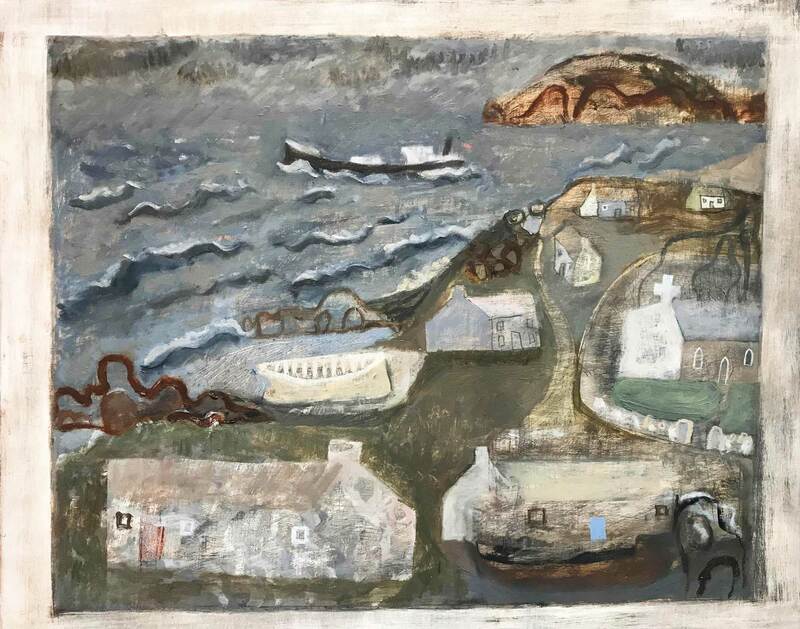 His competent eye makes objects and landscapes into handsome forms and shapes, depicting a scene with texture and clarity where he has great ability representing an informality with formality, partnering them perfectly.